These packs are built from a lighter-weight version of our Durathane™ haul bag material and are designed specifically for climbers with two, 3-pocket daisy chains and haul bag style clip-in points. 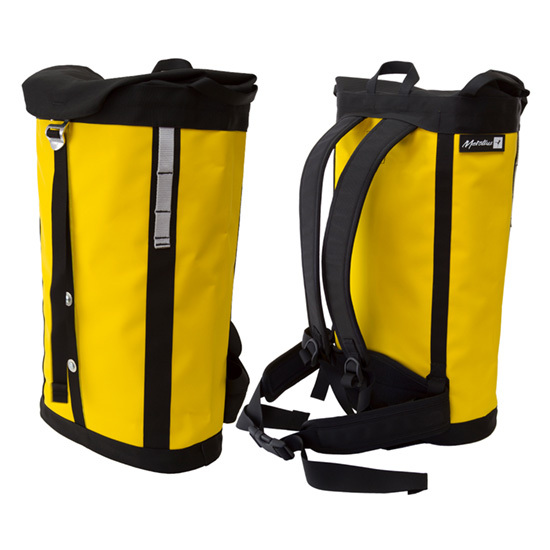 The packs feature tuck-away shoulder straps and removable padded waist belts as well as a zip pocket inside the lid. It closes with an aluminum buckle that is guaranteed for life!